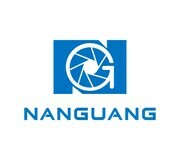 NANGUANG products are respected and trusted for their reliability, longevity, durability and good service. They are relied on by photographers, cinematographers, rentals and studios all over the world. All NANGUANG products are guaranteed for one year free of charge. If any faulty, please reflect to us, then we will supply you a solution to solve the problem with necessary spare parts for replacement. Contact us at: service@nglbg.com.